"All our office supplies are registered and inventoried with this software. " Zoho Inventory is the most comprehensive software I have used to make inventories, and control purchases and sales of goods and office supplies. It is a very integral software since it has several tools that before I had to use separately to fulfill my working day. Now I can make the inventory of merchandise and materials, organize my purchases, sales, add payment information from our customers, manage pending orders and schedule shipments, and all this I can do thanks to the system that Zoho offers me. Now I don't have problems to make all the commercial procedure of the merchandise, since from this software I control all the procedures, saving a lot of time and effort and the use of other softwares to achieve my labor objectives. A software that does not have weak points which make me stop using it, I think that each of the functions offered by Zoho Inventory are quite good, and thanks to this software, the way to organize my inventory is totally efficient. A software that I always use and has no defects. Zoho inventory I recommend it to all my colleagues because it has all the necessary tools to efficiently inventory your business, generating excellent levels of administration and labor management, something that you will not get in other software. This software is an excellent tool that has added to my job efficient ways of inventorying our materials and merchandise, making my sales organization much more efficient and tailored to my personal demands as a worker. Now I can better manage and inventory my business thanks to Zoho Inventory. "Fully guaranteed inventory organization "
In my job it is very important to have the distribution of LPG organized to build the distribution and storage routes, getting the amount of gas needed for other companies, homes and small businesses. I used to manually organize the inventory, consuming large amounts of time and effort. Now I save all this time thanks to Zoho Inventory which is a software dedicated to the organization and management of all my inventory, allowing me to create a very efficient system of orders and deliveries of gas to all customers. Thanks to the management of my warehouses I can make quick deliveries of LPG gas, just as I can maintain a strict order of each of the types of gases and the amount requested by our customers. It is a software that has allowed me to manage my inventory very efficiently and for this reason my work has become much more productive. A software that has given me everything in terms of organizing my inventory. I could say that I have a total management of my inventory and the gas that is distributed to each one of our clients, in addition I have a work team that has allowed this to become a reality. All the management where I work is very comfortable with the use of this software and there is nothing counterproductive or negative to highlight about Zoho Inventory. Every large company requires a software or a work team that allows to organize all the inventory of products and items that are for sale or that have to be distributed, in my case I have the responsibility of organizing distribution of gas hydrocarbons. Due to the strategic importance of my job functions, it is very important to have a software as good as Zoho Invetory, which was designed for high work demands. For this reason I recommend this software to those companies that need to organize large quantities of inventory. The management of my LPG inventory, which consists of the organization, accounting and distribution of this product to customers is now much more efficient, effective and consistent, we did not fail either in the amounts accumulated, or in the distribution time, and it is for this reason that we have been able to evaluate in our work meetings that this software has increased our levels of efficiency to levels that we had never lived before. "Zoho Inventory is so worth it!!" I love this module of Zoho. I have used the paid and free versions. Both are great. For the free version, it is very well worth it. The paid version is very inexpensive and very great quality for the price! Highly suggested for inventory. It is great because you can integrate other modules as well for more efficiency. There is honestly not much if anything that I dislike about Zoho. I think they are easy to use with perfect features. One thing that was a disappointment was you cannot use your own templates but that is not a huge deal to me because you can just customize it. Use them, especially if you are just starting or have a smaller business. THey are great! We are solving inefficiency from Excel because we are expanding and need everything streamlined. Zoho has helped us become more organized and we are tracking things better. "Ready another wonderful tool for my business, found it with Zoho Inventory. I also love it for my bu"
I like it, it helps me to be more efficient and accurate, and add more tools needed for my business. For now I have no complaints. This software has helped me to solve a strategic point that I had not solved, now with this practical tool I have been able to systematize all my merchandise and that is an important added value. Also with this software I have everything automated and connected and this strengthens my business. "Great modular approach to business apps"
Apps are modular so that we can subscribe to the apps that we need and use most. The important thing about modular apps is that it needs to be integrated easily between apps and can integrate with outside apps as well. The inventory app has many great features that works well if you're a wholesaler or retailer. Out of the box, it just works. The inventory app is more generic, so if you're in a specific industry, it might not work exactly as you need it. The reporting feature is probably the weakest area. It's neither product or customer centric, so you will need to buy their Reporting app to get customization. But that app is not user friendly at all, unless you're a developer or you spend alot of time trying to figure it out. Great for companies that have a smaller catalog of products. Inventory app allows us to manage inventory and extend to invoicing. Not too many apps out there can do this well. We use it to do POs, track inventory, and issue invoices. We're able to all this within 1 integrated app is a time saver. "I'm so happy I discovered Zoho - it has been a great help to the business." The ease of use - the layout is simple and visually appealing. I not only use Zoho Inventory for my stock but also Zoho CRM for my clients and Zoho Projects for internal activities. They all link into one cohesive system which gives me a comprehensive view of the business. There are a few downfalls - the back-end seems to be locked down meaning there are some changes or customisations that can not be made, no matter how important. The connectivity between Inventory and CRM is also limited. Take your time to discover how the system can work best for your business. Stock management is much more organised. The level of detail available for entry is incredibly helpful in keeping track of items efficiently. I love the fact that it is in the cloud and that the support from Zoho is so fabulous and responsive. I used to deal with Quickbooks and find that Zoho's customer support is so much better. easy payment through and invoice is a great feature. we are about to try the Kloudconnector and are looking forward to using this feature. The only thing I can fault is when a sales order is converted to purchase order, the details information does not parse through onto the PO. Only the default product info comes through. we make complicated Sales Orders that have a lot of custom details for each new SO and this info should be transferred to the PO. it does so onto the Invoice. Drop Quickbooks and change to Zoho Inventory. it is so easy to use and you will love it. "Used inside and outside my shops. Accounting and inventory made simple and always accessible "
The Ability to calculate prices with Sales orders from a mobile device while finalizing the accounting at once. Not being able to create user profiles that would restrict the access to some sensitive datas like purchase prices and full accounting. Ideally, one user profile should be able to only access the Sales Orders he created. No tracking, history or content of the emails sent from the Zoho server. Accounting and inventory all done at once. "asset consolidation, inventory management for an international opration "
Simple interface, easy to use and very functional. Act as intermediary between web store and warehouse. 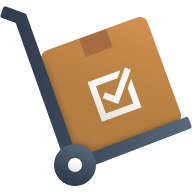 Able to convert orders to sales confirmations, packing lists, invoices and process payments with ease. Cross transfer of data means significant reduction in time for manage pick/pack orders. "ZOHO inventory pros and cons"
I like the fact that zoho synchs with shopify. Zoho also automatically synchs with the zoho books which makes running reports and view sales data easy. I do not like the limitations on the shopify synch. Example: not all orders synch. Small inconsistencies like name change causes issues. serious issues and instead of finding a correction the zoho team will tell you to delete or that you will never have an option to synch. importing orders has never worked. If you are synching with another program (ie shopify) make all changes in shopify before integration take place. name changes, descriptions changes, etc..
inventory tracking is being solved this is very limited with shopify. Time and effort of not having to type all orders or inventory into multiple places which can cause mistakes. "Zoho Inventory is the best option to keep track of your inventory and fulfil your clients' orders." I love the way this software is structured, in a way that you can follow every step until to completion of your client's orders. I also like the integration capabilities with other Zoho modules and third party applications. I think that the searching capability while entering products in a Sales Order or Invoice can be improved. I would be great if they use the same searching capabilities of the principal searching box. It's a very complete solution, easy to use and setup. Zoho Inventory offers all the feature that a small to medium business might need and more. I have a very accurate control of the inventory. The option of configuring multiple storage is really helpful in order to keep this control. I really like that I can make sales orders, invoices, and keep track of the inventory and how much left in stock I might have. I don't like that you can't combine inventories for multiple companies. We had a company that was a DBA for our main company and we couldn't properly keep track of the single inventory we were pulling from. It was annoying and rendered the inventory aspect useless. Check it out first and see if it suits your needs. We were trying to find a software wherein we could create official sales documents (sales orders, invoices, etc.) and also have it sync up with our current inventory stock so we knew which batch was sent out and to who. "Don't know what I'd do without it"
Zoho Inventory really simplifies the tasks involved with managing inventory. It organizes our inventory in real-time and allows us to have precise readings of our stock levels. I like that we can view and manage the order status, shipping and customer payment information. Like other Zoho products, it's very important you have a stable internet connection with pretty good speed. If not, the software will probably not work so well for you. Zoho Inventory helps us with organizing the accounting and distribution of our inventory. "Awesome! Great product, great service!!" I love how everything integrates. Inventory is amazing. I love how you can request work ons and they actually update you and make improvements. Would like to see better use of the Grouped products, but my idea is in the development phase which is exciting. Try it for 3 months, you will never go back to who you are with. Its a one stop shop. Integration with my online store, Zoho Books, Social, CRM everything. Its made the whole process so much more fluid! "Zoho Inventory - great tool, needs more customisation ability"
The Inventory Dashboard is great + the warehouse management is good, although I don't believe this should be charged as an add-on in the future as it it's an essential of inventory management not a "nice-to-have"
Lack of customisation. Especially reports. Detailed picture of where our inventory position is across the country in multiple DCs. Seamless integration with Zoho Books. Packages and Backorders. Package view. Shipment Tracking. Go for it. Once you get a hang of it you'll know what you had been missing in your processes. Spare parts management for automotive workshops. No Android app for Inventory software, Most of our employee love maintaining inventory via mobile phones and hence its disappointing that Zoho doesn't have an android app. Keeping track of even the smallest product which used to left un monitored in our office prior to zoho. Great tool for my company. extremely satisfied. basic service for basic pricing. It is a basic system for tracking inventory and getting shipments out the door. it has helped us track our inventory levels and share that info across the company. It also makes notifying customers about shipments easier- it generates email templates to notify customers and sends tracking info. The fact that when i add a product with multiple colours and sizes, i have to manually add the sku. Sometimes it can be 150 variants to one product and it is difficult to add them. "Zoho Inventory is a must for any Zoho User"
I like how easy it is to create new inventory items in bulk with the Group feature. I wish they did a better job with the serial number tracking and logged units in and out. We went looking for a new platform and found Zoho, at first it seemed like a big undertaking but looking at it the transition went smooth. "A simple way to build a complex system"
I was looking for a simple system that can handle quite a complex inventory and give straightforward yet detailed financial reports on trends and profit. Zoho does just that! so far I haven't found anything I don't like! I really like the dashboard. It is easy to use. I wish that freight costs for a customer's order could be added to the COGS of that specific order. WOuld making tracking profits a little better. Take the trainings. Ask questions. Zoho has a lot of features that may seem a little overwhelming at first. Integration with Zoho Books is huge. It is saving us a lot of time. It is easy use. The SKUs are defined well. The customer care needs to be more responsive. The mail is received but issue is not resolved. Have more help subjects on the "help"
"Zoho Inventory - a turn key solution"
"Once of the most value for money Small Business Inventory Management Systems"
Not having a more comprehensive inventory for all materials involved in the process. So i would like to have inventory for both packaging materials and raw material that would be added to the receipts automatically but not charging the customer. Keeping track of All inventory costs by FIFO method and keeping everyone in the organization on the same page. much more convenient than having paper and pen. The ease of use and that it was working out of the box with limited need for developer experience. There isn't much to dislike. At the size business we are using this product for, the fit is very good. The primary reason for implementation was to keep better track of vendor purchasing and project item delivery. The secondary benefits have been with budget maintenance and tracking inventory through delivery. "Perfect for SMEs that wish to scale up"
Easy to use, affordable, almost everything you need, good service ! No ERP system for global companies with various branches worldwide. No phone app; Better intergration to couriers; More information and customization in invoices, shipment slips, etc. "Easy to use, easy to configure, east to customise. A great tool for small to medium business"
* We monitor all Zoho Inventory reviews to prevent fraudulent reviews and keep review quality high. We do not post reviews by company employees or direct competitors. Validated reviews require the user to submit a screenshot of the product containing their user ID, in order to verify a user is an actual user of the product. Hi there! Are you looking to implement a solution like Zoho Inventory?